In the telemonitoring group, 102 patients per 1,000 died, compared with 154 per 1,000 in the control group. 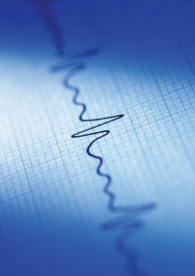 Despite cost-effectiveness on the larger scale, “there is not always financial incentive or additional payment to physicians or physician groups or hospitals around providing this extra level of care and monitoring,” he [Gregg C. Fonarow, MD, of the University of California Los Angeles and an American Heart Association spokesperson] said in an interview with MedPage Today. A week or two ago I wrote a post on “meaningful use” incentive being used to encourage health care providers to e-prescribe. In short, health care providers are able to earn money by using technology with purpose. I attended a workshop to learn more about meaningful use – but I must admit I don’t feel much smarter having attended the workshop (one reason I didn’t write about it earlier) but I’d hope that it could be used to encourage telemonitoring as well as e-prescriptions, especially given the results seen in this recent review. This entry was posted in Healthcare, Policy, Research by Ann Treacy. Bookmark the permalink.